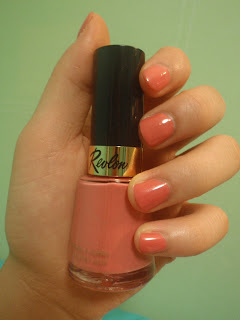 I loved the fun, vintage-looking salmon pink in the bottle, and when I applied two coats, I got a nice peachy/pink color with just the slightest amount of fine shimmer. 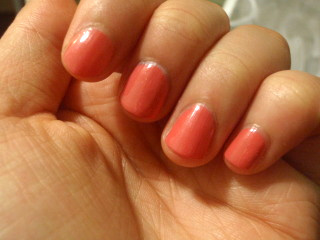 It applied decently with two coats and dried fast, compared to a lot of Revlon polishes. I was pretty impressed with how it turned out. I even loved the cursive "Revlon" on the packaging! 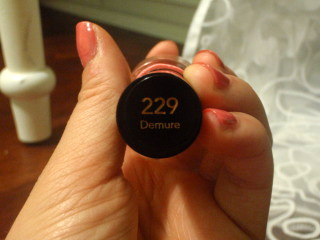 The best thing is that it's cheap (under $5) for such a high-quality nail polish. It's made it to one of my must-haves for spring and summer.